Don’t you love getting together with family and friends? It can be a simple get-together or a grand dinner party, but it’s the details that make it special. 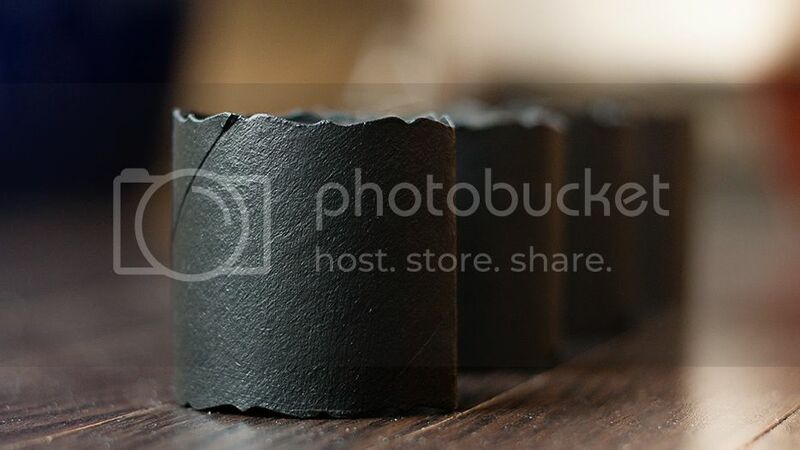 Anne is sharing an easy, but lovely chalkboard napkin ring idea that will make your table look special and impress your guests. Happy November friends. 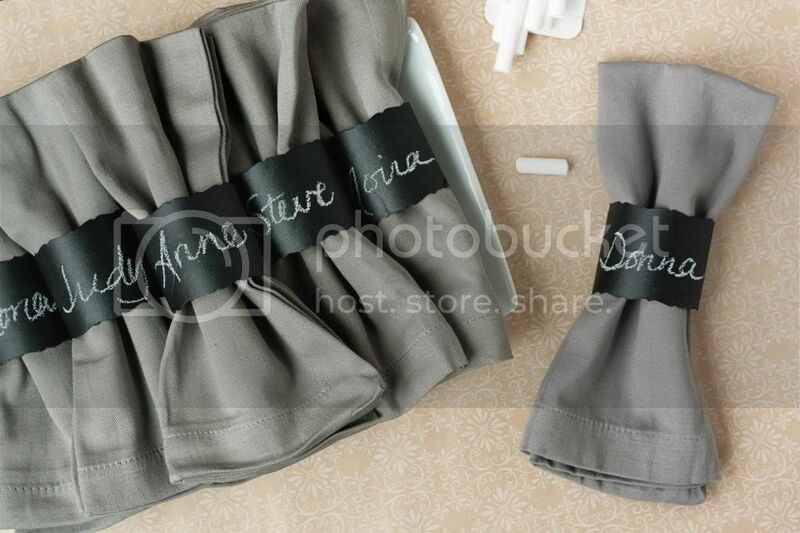 Today I am doing a little twist on my usual party post, sharing a quick DIY with you. With Thanksgiving and the other holidays rapidly approaching, you may find yourself hosting a dinner party…or two. 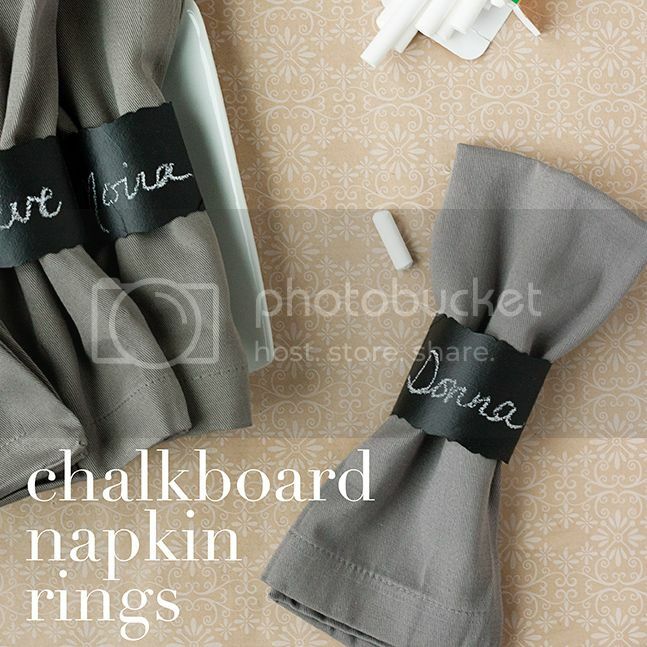 These fun chalkboard napkin rings double as place cards and would make a fun addition to your dinner table. 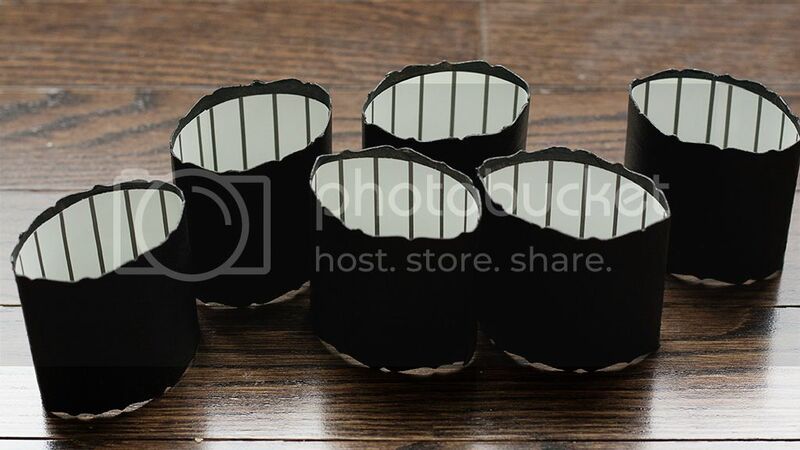 You’ll need: A cardboard tube (paper towel, toilet paper, wrapping paper…whatever you have), chalkboard paint, and paper edgers (I have a decorative blade on my paper trimmer that I used). Use your edgers to cut the tube to 2 inches. 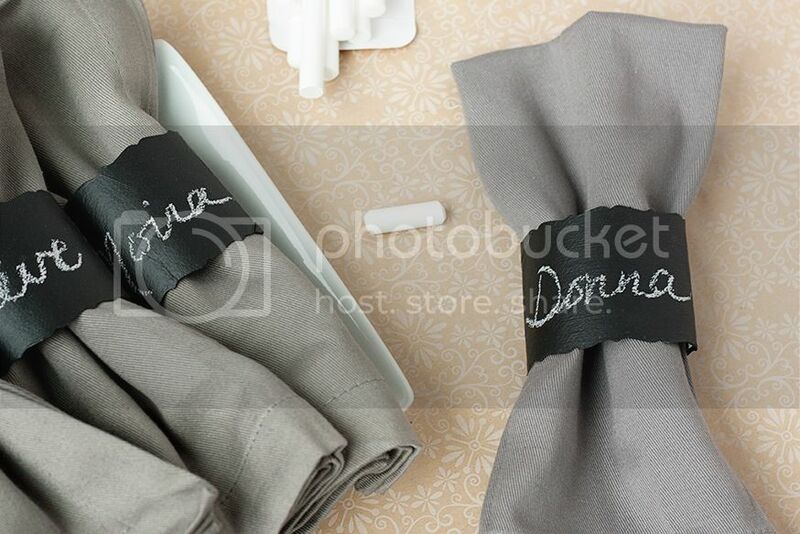 Then paint with chalkboard paint, painting a little on the inside as well. That part will eventually be covered. 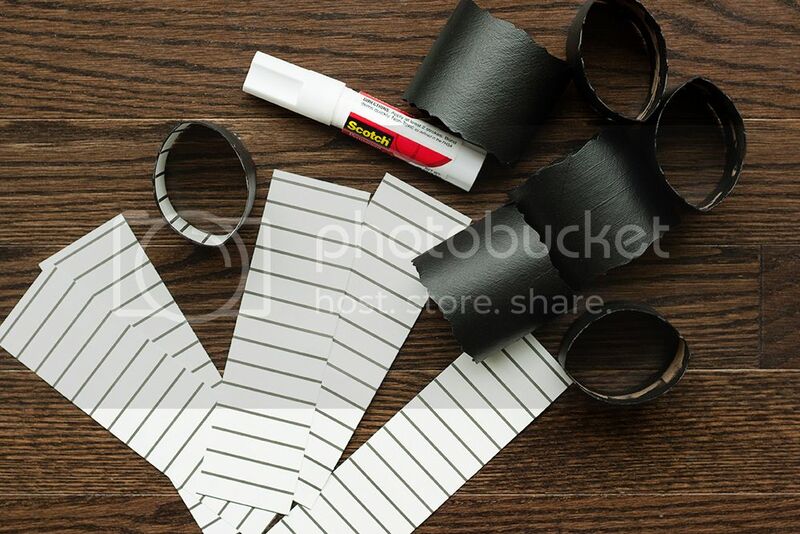 Cut some strips of lightweight scrapbook paper to 6 inches by 1 3/4 inches. Put glue on the back of the paper, form a roll, and slide it inside your tubes. Smooth it out, lining up your edges. And that is all! You can use them as your place cards or even draw fun little seasonal sketches on the rings to match your occasion (think holly leaves, acorns, Christmas trees, stars…you name it). Hope you all have a joyous Thanksgiving! See you in December! Thanks Anne! They turned out awesome! Don’t forget to visit Circusberry where Anne blogs regularly!